Technology is a topic that is hard to elude. Be it BOYD (Bring Your Own Device) initiatives, cloud backup or the use of modern technology for enhancing productivity and increasing sales; the need for updating your workforce about such trends is more frequently required than ever before. This is why managers, entrepreneurs, IT department officials and sales teams from a tech company may require presenting informative or persuasive presentations to encourage technological upgrades. 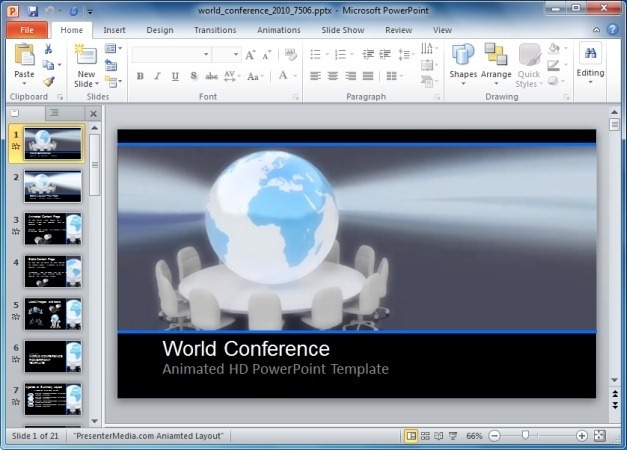 Instead of creating a dull presentation with wires, routers and complex information about connectivity and data management, you can rather opt for animated templates to present your presentations in an easy to grasp manner. 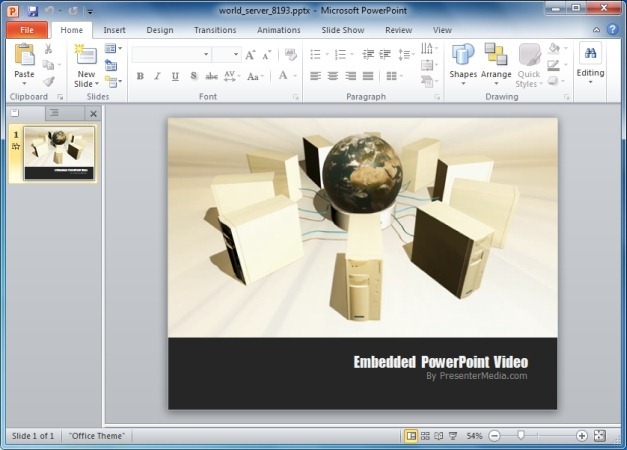 Whether you require informing your peers about the introduction of new technology at the workplace, require providing training to the workforce or wish to present a sales pitch to sell your service or equipment to a company, the below mentioned technology PowerPoint Templates can help you create attractive presentations with interesting animations. 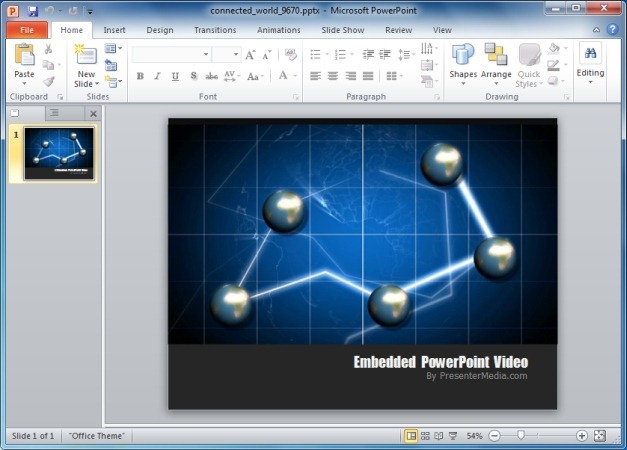 This is a template with an embedded video animation that shows different planets connected via a network. 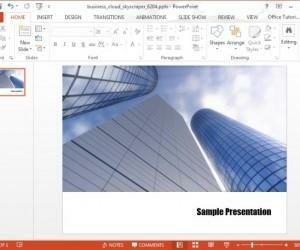 As this is a customizable template, you can edit it to create presentations about a wide range of technology related topics, especially the ones related to networking, computers, servers, the internet and even social media. 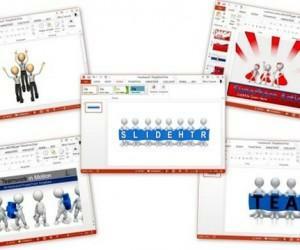 Available in: PowerPoint, WMV, FLV and MOV format. 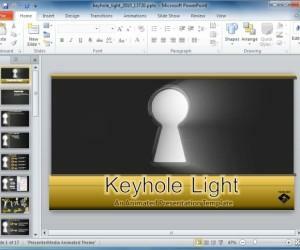 This is an animation which is also available in the form of a PowerPoint template. 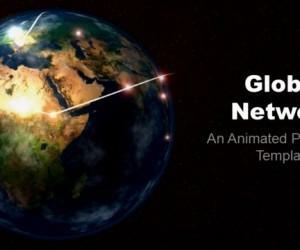 This video animation shows servers orbiting a globe. Such an animation can be quite useful for making presentations related to computer networking, cloud computing, cloud backup, web services, web apps, hardware repair and technical support. You can download this customizable animation as a PPTX file and add your own text and images to create an animated slide. 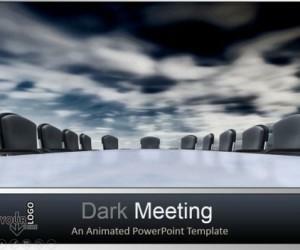 If you require creating a presentation about webinars or wish to provide training or sales related information about setting up a conference call setup, then this template is perfect for the job. Furthermore, you can also mould this template for creating presentations about teamwork, the need for brainstorming and official events. 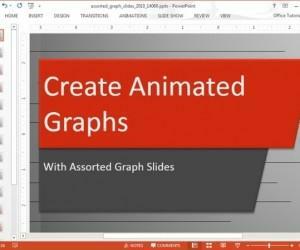 The template offers 21 sample slides with different layouts that can be easily edited to create animated slides with custom text and images. 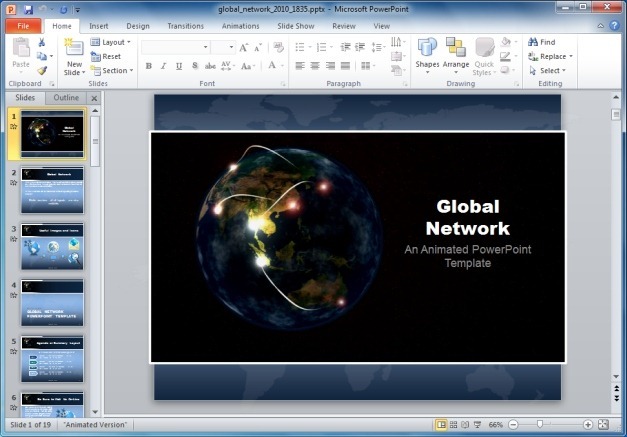 This animated template shows an animation of a revolving globe with lines moving across it, which is symbolic for connectivity. Hence, this template can be used for making presentations about connectivity, technology, internet, etc. You can find out more about the features of this template from our review of the Global Network PowerPoint Template and download it from the link given below. 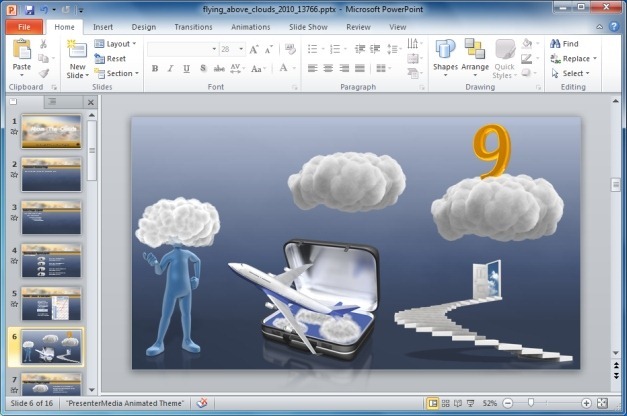 This is a fully loaded template for making presentations about cloud computing, with the help of animations and related clipart items. 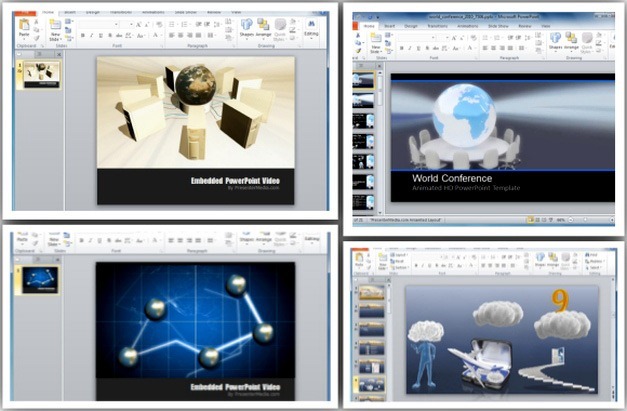 The Cloud Computing PowerPoint Template offers more than a dozen sample slides with cloud computing related charts, clipart, animations and SmartArt Graphics. 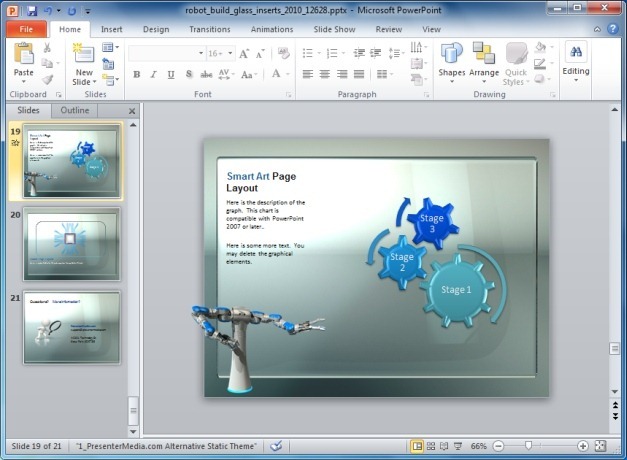 For more generic technology related topics you can use the Animated Robot PowerPoint Template. This is a template with a futuristic theme which shows a robot assembling a glass. The generic nature of the template makes it suitable for a variety of presentation topics related to technology, be it innovation, futuristic technological designs, investment in emerging markets, etc.